A Lithuanian court on Wednesday found the Soviet Union's last defence minister Dmitry Yazov guilty of war crimes and crimes against humanity for his role in a violent 1991 crackdown of the Baltic state's pro-independence movement. Yazov, 94, was sentenced in absentia to 10 years in prison. A further 66 people were also convicted — all from Russia, Belarus or Ukraine — including former KGB general Mikhail Golobatov, who was sentenced in absentia to 12 years in prison. His lawyer told Reuters he would appeal. The three-year trial focused on events that took place on January 13, 1991, when Russian troops stormed a television building in what is now Lithuania's capital city, Vilnius, leaving 14 people dead and more than 700 injured. The Soviet Union recognised the independence of the three Baltic states — Estonia, Latvia and Lithuania — in August and September of the same year. They have since become members of NATO and the European Union. Yazov was arrested later that year for taking part in the failed coup attempt against Soviet leader Mikhail Gorbachev. He was jailed but released in 1993 without standing trial and was pardoned in 1994 by former Russian President Boris Yeltsin. He spent his 90th birthday in 2014 with current President Vladimir Putin who awarded him with the Order of Alexander Nevsky for "his contribution to strengthening the nation's defence capability and promoting patriotic values among the younger generation," according to a statement from the Kremlin. Only two defendants were present at the ruling as Russia refused to hand the rest over. 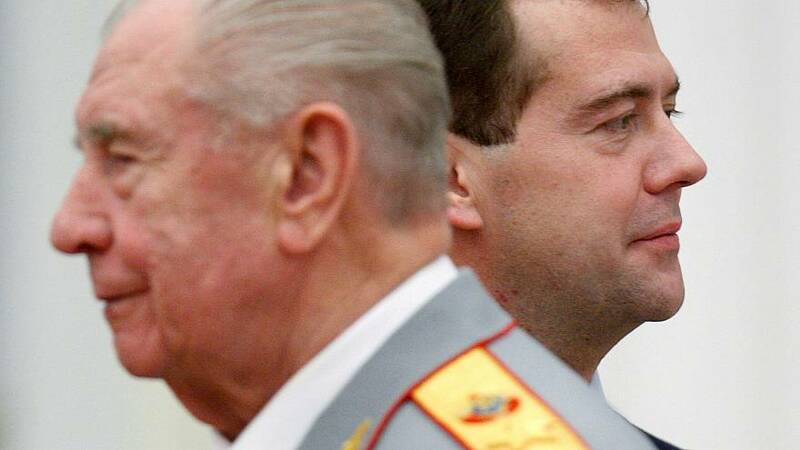 The country also rejected a Lithuanian summons for former Soviet leader Mikhail Gorbachev to testify. Lithuanian President Dalia Grybauskaite said in a statement that "on this historic day, justice has come". "Those responsible for the death of peaceful freedom defenders have been sentenced," she added. Foreign Affairs Minister Linas Linkevicius said the ruling is "is a vital step in restoring justice and honouring those who paid the ultimate price for Lithuania's freedom."